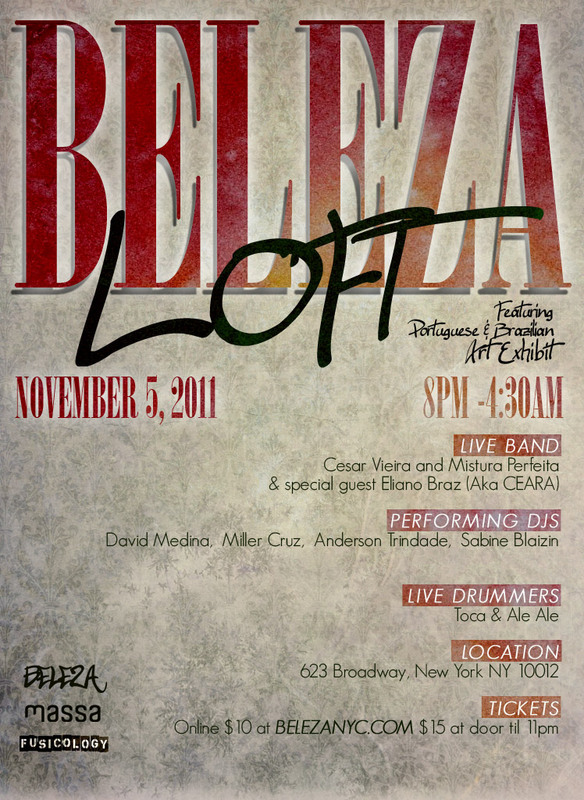 Get on Leticia's List for this Invite Only Loft Event. Sign up for Leticia's email list or email Leticia. $10 until 9:00pm\\$15 until 11:00pm -- say you're on Leticia's List. 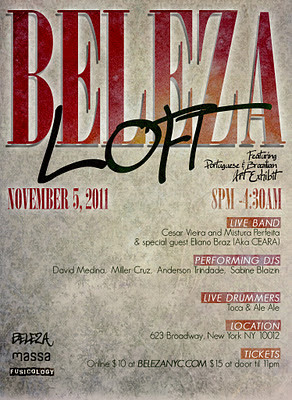 BELEZA NYC 2011 PROMO 1 from belezanyc on Vimeo.